Start-up budgets may put a damper on polishing your business profiles. 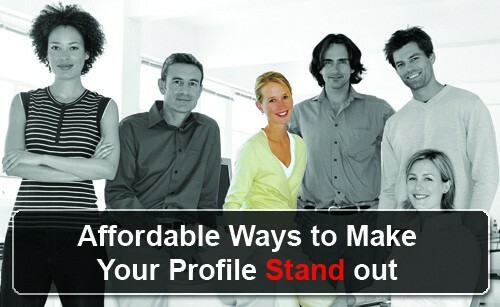 These five easy steps will help your social media profiles to standout on various industry-associated websites. Consistent branding does not cost a thing but is valuable to every company. When consumers look at your content online everything should look and give the same feel across all networks. Simple tips to help keep content consistent is to keep the same bio and keep the same header and photo. Professional headshots are more affordable than you may think. Headshot packages start as low as $50, a price every startup business can afford. You may get a professional writer to help position and brand your bio for all of your social media profiles. Have your bio custom tailored to a variety of lengths by a professional. You may find a writer through sites such as Fiverr or hire a local professional. Designers can help create custom graphics tailored to your brand that will be optimized by a variety of social-media backgrounds. A free and smart way to have your online profile stand out is to have valuable content. On all social media networks stay engaged and interact with your audience. Stay relevant and continue to work on getting your point across. PreviousDoes Your Online Reputation Affect Your Company’s Bottom Line?